SHENANDOAH HEIGHTS — Ridgeview Healthcare & Rehabilitation Center is rolling out a new pulmonary rehabilitation program for both its short-term patients and long-term residents who suffer from chronic breathing problems. The latest specialized rehabilitation program expands on the physical, occupation and speech therapies already being offered at the nursing facility. Aspects of the program include home safety, energy conservation and breathing techniques. Vital signs are also being monitored the whole time, Jacobs said. “We want the resident to know the appropriate ranges so they are not going to the hospital too soon or too late,” Jacobs said. Eventually, it will evolve into a cardiopulmonary program that will include rehab for both heart and lung diseases. “Those two diagnoses go hand in hand,” Jacobs said. The program is being started at a time when hospitals are trying to reduce the number of returning patients. As part of the Affordable Healthcare Act, Medicare will now penalize hospitals for excessive readmissions. Ridgeview is still finalizing the qualifications for the program, Jacobs said. Frank Marchese, general manager for Nationwide Health Care Services, which owns Ridgeview, said they are working with the Schuylkill Health network to use the program as an extension of the hospital’s own rehabilitation program. Ridgeview is also getting new lab equipment to get instant results for things like blood tests. “Our goal is to prevent hospital readmissions and receive people from the home if they need our level of care, so we expanded our services so we could do more care in this facility,” Donna Howard, director of clinical services at Nationwide, said. Howard said many patients will be able to continue living at home. “We are not going to be able to cure a lot of their problems, but we can certainly make sure everyone can live with them and independently,” Howard said. For example, Howard said the program can help people do activities without needing their oxygen tanks. “Something like that can make a huge difference in someone’s quality of life,” she said. Ridgeview currently has 79 residents and about 15 to 20 people participating in its short-term rehabilitation program. Louise Bekisz, administrator at Ridgeview, said many of the residents at the facility suffer from breathing issues. “Because you sit right in the middle of the Coal Region, people worked in the mines and respiratory issues are very prevalent,” Bekisz. 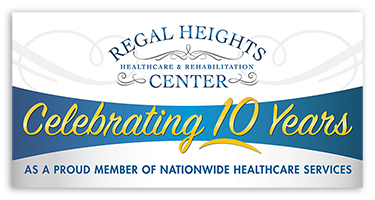 For more information about Ridgeview Healthcare and Rehabilitation Center and its rehabilitation programs, visit its website at www.ridgeviewhealthcare.com. JACQUELINE DORMER/STAFF PHOTO Frank Marchese, general manager of Nationwide Health Care Services, right, and Dr. Robert J. Thurick II, medical director of Ridgeview Healthcare & Rehabilitation Center, talk Tuesday about an innovative pulmonary rehabilitation program at Ridgeview Healthcare & Rehabilitation Center in Shenandoah. JACQUELINE DORMER/STAFF PHOTO Paul Jacobs, senior rehab director at Ridgeview Healthcare & Rehabilitation Center, center, speaks Tuesday at Ridgeview Healthcare & Rehabilitation Center in Shenandoah. Gathered, from left, are Anthony Campisi, Ceisler Media & Issue Advocacy, Louise Bekisz, center administrator, Jacobs, Nancy Gansky, assistant director of clinical services at Nationwide Health Care Services, Donna Howard, director of clinical services of Nationwide Health Care Services, and Frank Marchese, general manager of Nationwide Health Care Services.